After an adrenaline-filled morning on the yacht’s watertoys or a few pleasant hours spent exploring the enchanting hill villages of Provence, it’s time to indulge in some pampering. The French Riviera is home to some of the most spectacular spas on earth, and as you float along the coast on your luxury yacht charter from Monaco to Saint Tropez, you may well be tempted to try them all. Step ashore in the glittering principality of Monaco and head up the hill to the iconic Hotel de Paris, where their four-storey, 7000m2 spa complex recently got a facelift of its own. 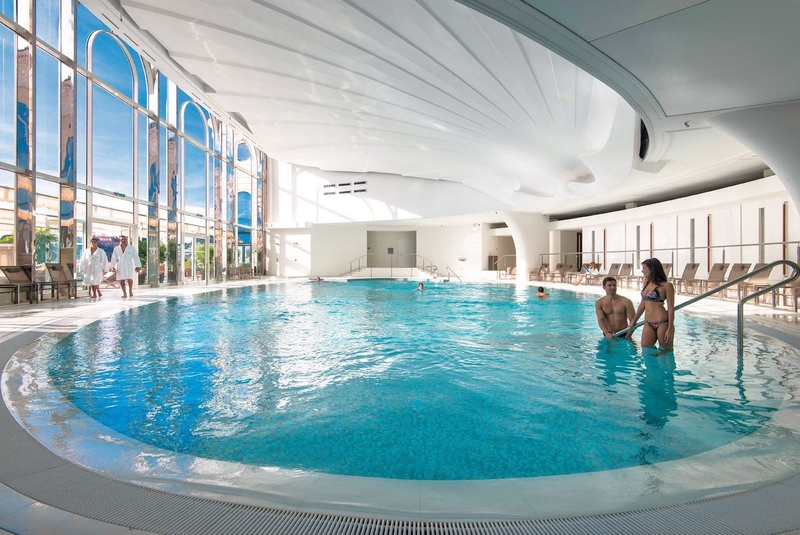 Recently renovated as part of the Hotel de Paris’ celebrated upgrade, Thermes Marins Monte Carlo Wellness Centre offers cutting-edge treatments in luxurious surroundings of pink marble, fragrant gardens, and seawater swimming pools that reflect the ever-changing Mediterranean light. Boasting the only two cryotherapy rooms in Europe, a garden solarium, over 30 treatment rooms, and a veritable army of well-trained masseuses, beauty therapists, cardiologists, hairdressers, nutritionists and physios, this haven of tranquillity offers a huge range of anti-aging, relaxation, and slimming treatments. You can also use the state-of-the-art gym, nourish yourself at ‘L’Hirondelle restaurant, or relax on the sophisticated Jacuzzi deck, drinking in the breathtaking views of Port Hercules and the Prince’s Palace. From the second you walk into this ultra-luxury spa at one of Monte Carlo’s finest hotels, your body and mind begin to relax. Designed as a sanctuary from the world, the softly-lit spa features a décor of elegant natural materials: Pallasandra wood, cool slate, soft leather, and shimmering micro-tiles of deepest blue. Spas bubble gently in candlelit rooms, and soft treatment beds are prepared with fluffy towels and ultra-soft robes. The 2000m2 spa complex offers the latest spa experiences the industry has to offer. The Heat Experience offers a crushed ice fountain, soothing caldarium, hammam, sauna, Crystal Stream rooms, and two tropical showers which spray refreshing cool mint mist and tropical rain. The 10 treatment cabins include chromo therapy bathtubs and hammams, while the spa also features a fitness studio and a heated seawater pool on the deck. Clients at ESPA can also indulge in the restaurant menu by Michelin-star celebrity chef, Joël Robuchon, to take their spa experience to the next level. 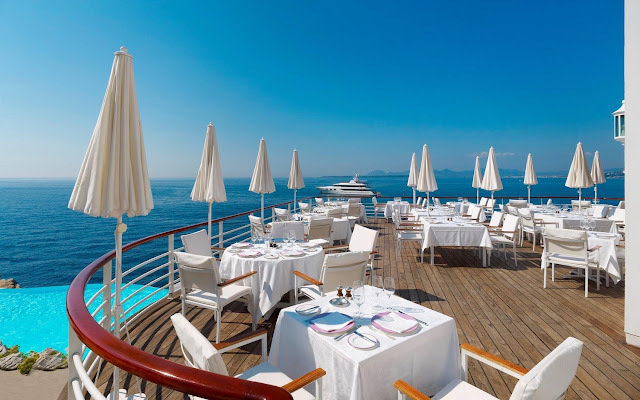 As you anchor off the exclusive headland of Cap Ferrat, where grand white mansions sit under shady pines, a decadent treat awaits you. 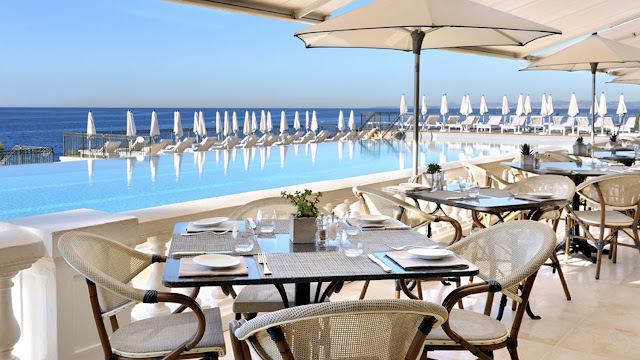 The famous Grand Hotel du Cap Ferrat welcomes you to its garden-setting spa set high above the sea: an 8000m2 temple of health and wellbeing set in exotic landscaped gardens. Have a massage in an outdoor pavilion, enjoying the afternoon breeze that lifts off the sparkling Mediterranean, or enjoy the lavish VIP private spa suite for couples with private terrace. Signature treatments at Le Spa include the Green Caviar Facial and Royal Damascan Rose scrub, as well as the much-vaunted Haute Couture concept by Dr Burgener Switzerland, which is an intensely personalised treatment plan with products and treatments tailored to each patient’s skin. The Grand Hotel du Cap Ferrat is the only place on earth offering this ultra-premium treatment outside the Dr Burgener clinic in Switzerland. While at Le Spa, relax in the indoor jet-stream pool, steam rooms, saunas and Jacuzzi, visit the hairdresser, or take a yoga or Pilates class. The hotel complex also offers a gym, swimming pool, clay tennis courts, fine restaurant, and stunning walking paths through the sea-front gardens. 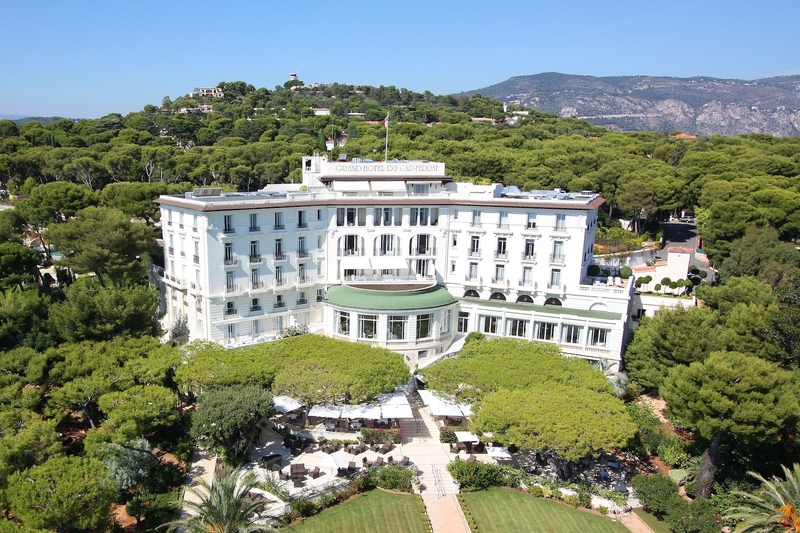 It’s almost impossible to overstate the fame of the Hotel du Cap Eden Roc, for it was from this glamorous hotel that the French Riviera was launched as a summertime resort in the 1920’s. Celebrities have been flocking here ever since to dine and dance above the sea, and of course indulge in the utterly delicious treatments on offer at the hotel’s Sisley Spa. Find your zen in one of the elegant, cocoon-like treatment rooms, or have a massage in a cabana set in the hotel’s famously lush seafront gardens, feeling the breeze waft gently over bare skin, the heavenly fragrance of aromatherapy oils mingling with salty air. Ease the tightness from your muscles in the sauna or steam room, rest up against the sea salt wall for halo-therapy benefits to skin and respiration, or visit the modern white-and-glass hairdressing salon with its exotic garden courtyard. 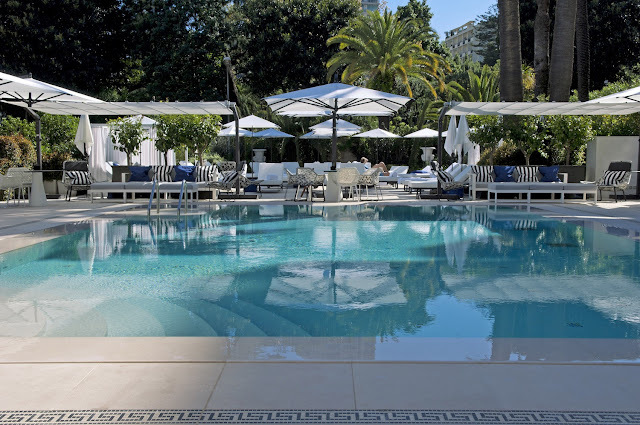 After your visit to Sisley Spa, adjourn to the famous sea-edge pool carved into the rock, or to one of Hotel du Cap’s outstanding restaurants, where the views are endless across the bays of Juan Les Pins, Cannes and the mountains beyond. 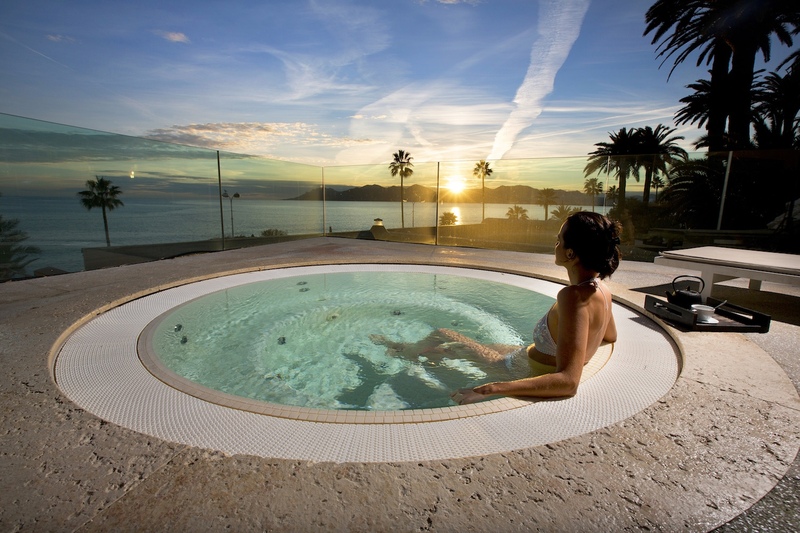 With caviar and diamond dust facelift treatments on the menu, this Cannes luxury hotel spa offers some of the most decadent spa treatments on the planet. 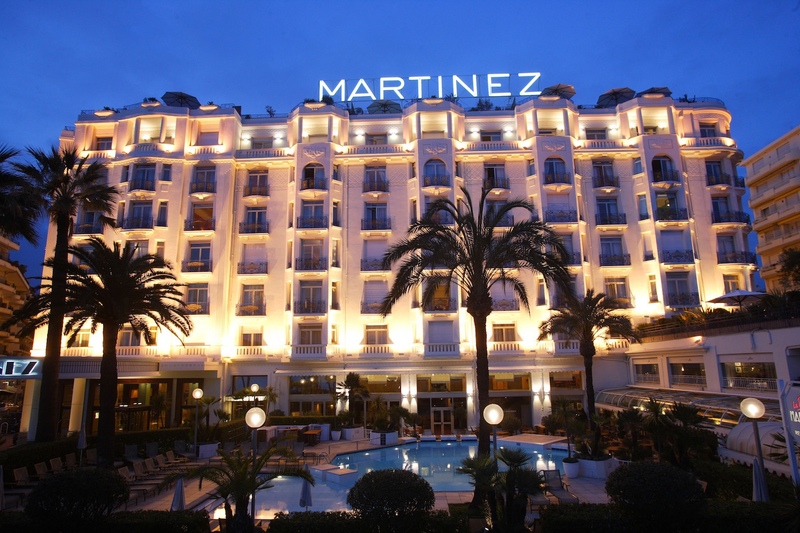 As you walk up the majestic staircase to the light-flooded spa lobby, you feel you’re entering an oasis, a world far removed from the busy Croisette boulevard below, where supercars pull up outside flashy boutiques and beautiful people promenade under the palms. The L. Raphael Spa takes up almost the entire top floor of the hotel, with its 46 hushed, softly lit treatment rooms brightened with splashes of the Swiss beauty brand’s signature burnt orange. Relax on the sunny deck surrounded by green foliage, exercise in the state of the art gym, detoxify in the sauna, have your hair done in the salon hung with chandeliers, or just treat yourself to some of the finest spa treatments in the world, including the fantastically popular (and fantastically expensive) Diamond-Oxy Lift. The Martinez hotel also offers a gym, hairdresser, organic restaurant, and a truly magnificent rooftop bar—so it’s all too easy to spend a blissful afternoon here before heading back to your yacht. If your French Riviera dream is to float in a thalassotherapy pool set on the edge of the Mediterranean or to feel all your troubles melt away in a Roman Bath, then Le Thermes Marins Thalasso & Spa is your kind of personal nirvana. Set just 10m away from the sparkling sea, this exclusive 2700m2 spa facility focuses on the restorative healing powers of sea minerals, with an epic range of treatments including algae wraps, sea salt treatments and other thalassotherapy therapies. Sit back in the Turkish Hammam, do a few lazy laps in the outdoor seawater pool, soak tired muscles in the heated indoor pool, and divide your time between the delights of the Jacuzzi, sauna, steam bath, caldarium, solarium and multi-sensory shower. 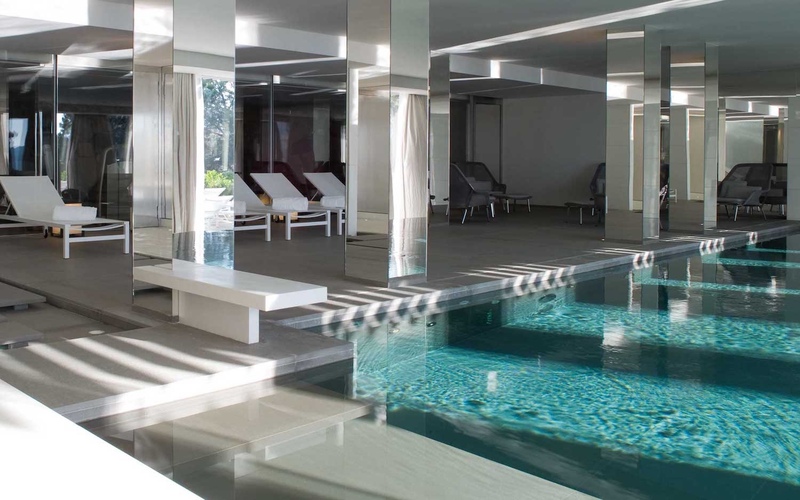 La Reserve is a serene and decadent spa hotel set up in the hills behind Saint Tropez. As a setting for a spa, it’s tough to beat, with views of the wild forest rolling down to the glittering sea, the yachts at anchor in the Gulf of Saint Tropez, and the almost mythical French Riviera light casting its spell upon the Mediterranean landscape. A massage with a view like that is not one to be forgotten in a hurry. The spa at the heart of the hotel is simply superb— a glamorous 8000m2 temple to health and beauty, where anti-aging regimens are set by a specialist longevity doctor, and a multi-disciplinary team of beauty, health and fitness experts aim to increase their clients’ ‘youth capital’ by combating the effects of time. The complex has thirteen private treatment rooms, with a long menu of indulgent treatments focussing on stress reduction, fitness, slimming and beauty. When your treatment is done, swim in the glamorous indoor pool, eat in the Michelin star restaurant, or relax on the terrace under the shady pines, taking in that endless view of sky and sea. You’ll want to linger, for this is where dreams are made. There are even more world-class spas along the French Riviera coastline and in the nearby hills, but sadly there isn’t space to include them all here. For more information on the best spas to visit on your Cote d’Azur yacht charter, contact the French Riviera specialists, Bespoke Yacht Charter.